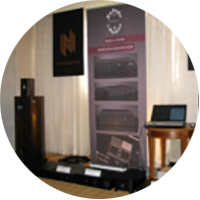 We strive to bringing you closer to the music and emotion. 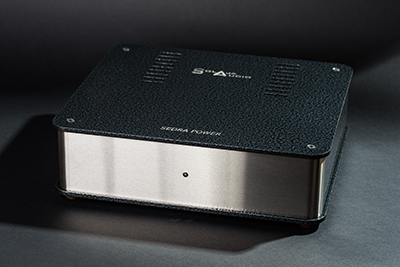 Solaja Audio is allways open to new distribution possibilities. 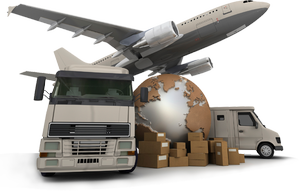 Please send us an e-mail and we’ll get back to you right away. 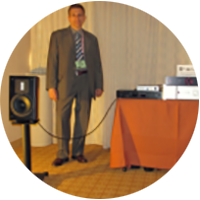 Dragan Solaja, Designer and owner of "Solaja Audio d.o.o." Solaja audio d.o.o. 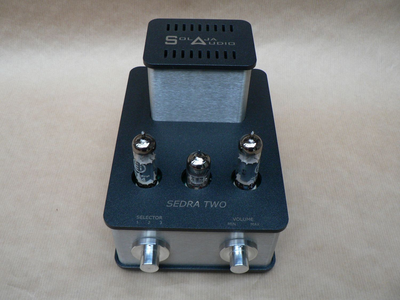 is a Serbian manufacturer of vacuum tube pre and amplifiers. 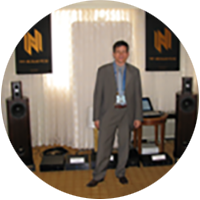 We strive to bring you closer to the music and we are very dedicated to your needs. SE headphone amplifier with one input and a passive volume control comprised of a 6N2P (double triode) feeding a single EL84 (6P14P) per channel with linear power supply to deliver 0.5W output per channel in triode mode without negative feedback. SE integrated amplifier with three inputs and a passive volume control comprised of a 6N2P (double triode) feeding a single EL84 (6P14P) per channel with linear power supply to deliver 1.5 W output per channel in triode mode without negative feedback. 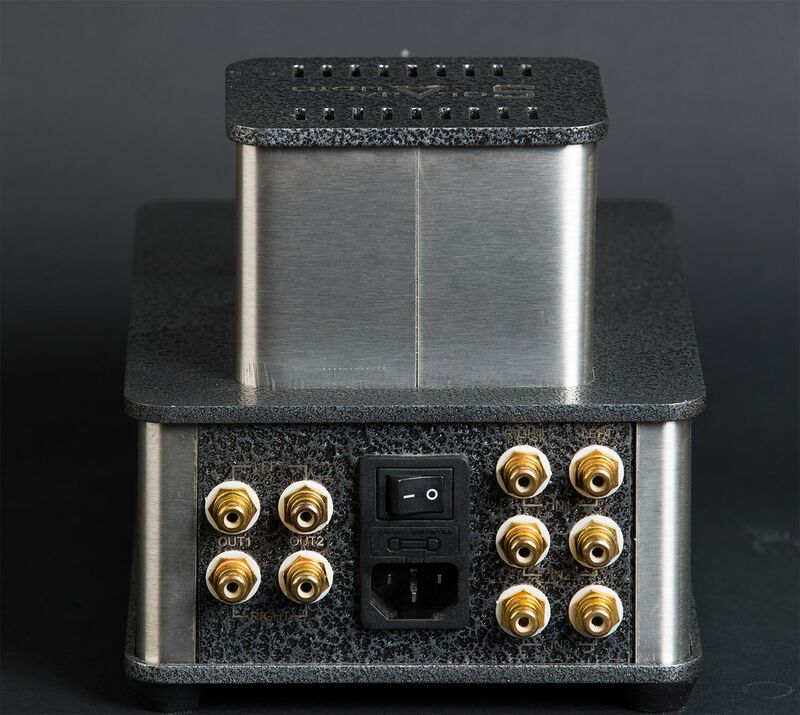 Standard IEC Jack with fuse protection and power switch. Vacuum tube line preamplifier. 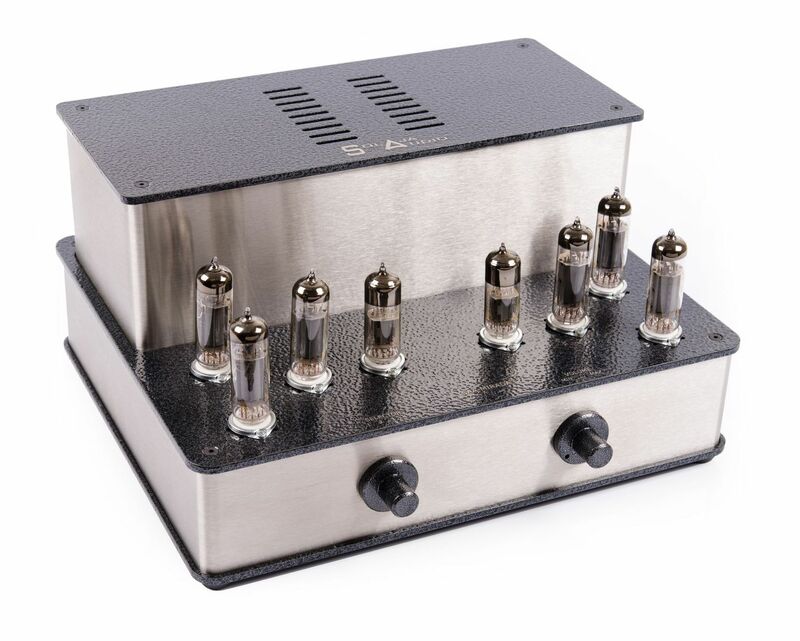 It consists of a double triode for both channels, cathode follower, vacuum tube rectification, C-L-C-R-C anode filtration, 3 inputs, 2 outputs. Power output : 35W/8 Ω ; 60W/4 Ω Frequency response : 20Hz-20KHz/0dB Input impendance : 33KΩ THD+N : 0.1% Input sensitivity : 0.5V Noise level : 90dB Input voltage : 115V/230V (on request) Dimensions : 290mm(W)x260mm(D)x90mm(H). 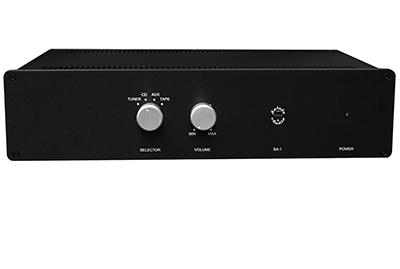 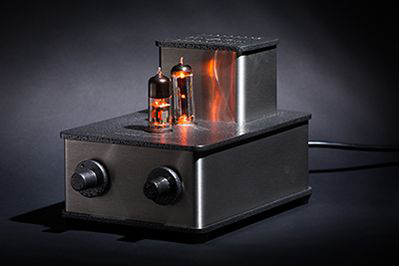 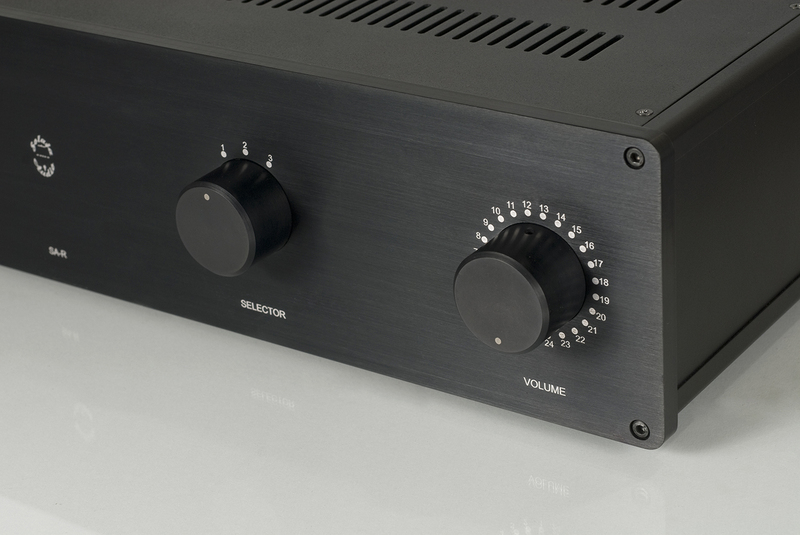 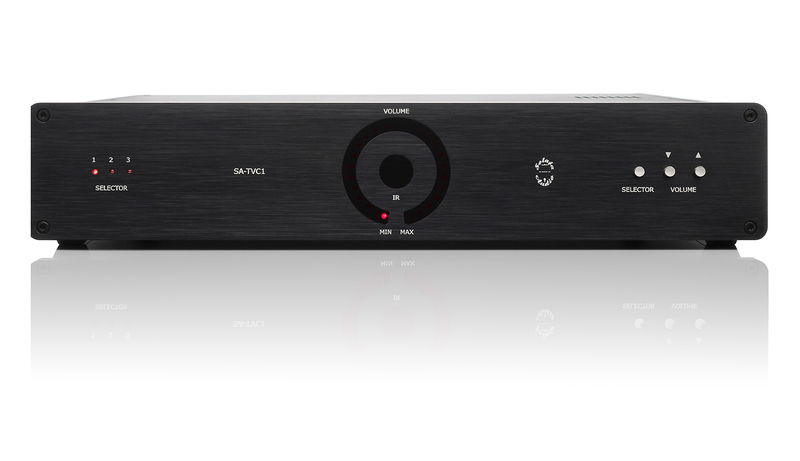 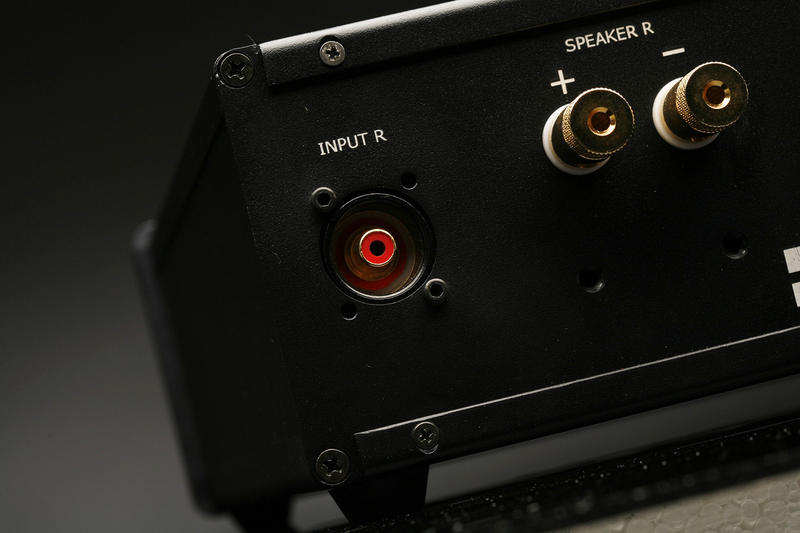 Stereo Tube Preamplifier SA-1 was introduced to high quality reproduction enthusiasts. 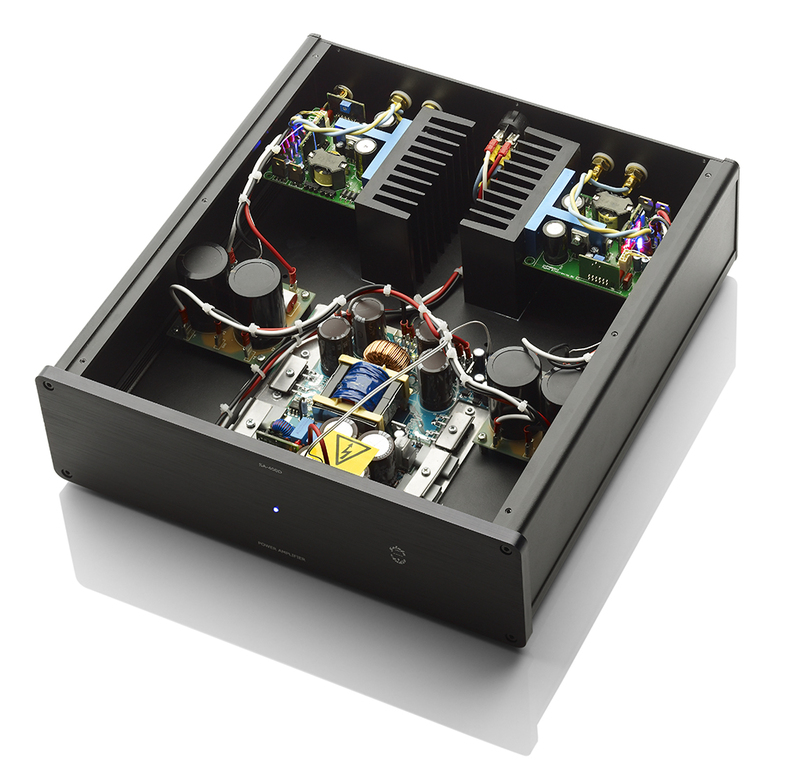 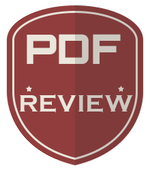 This is model intended to be an introduction to the world of high quality reproduction of your favourite music. 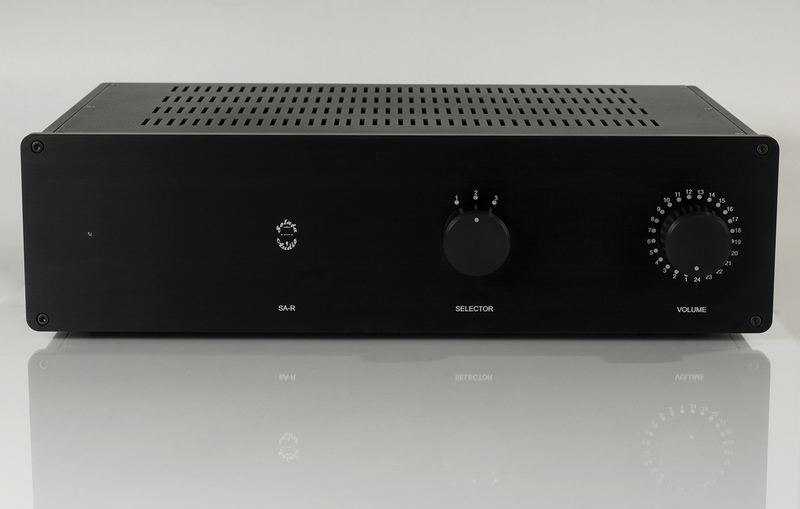 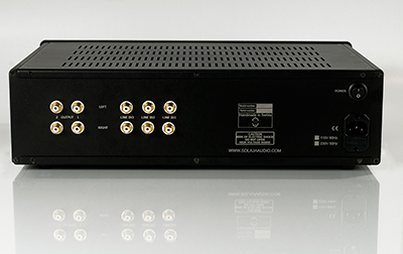 It was designed with simplicity of topology in mind, to minimize preamplifier’s influence on signal going through it. 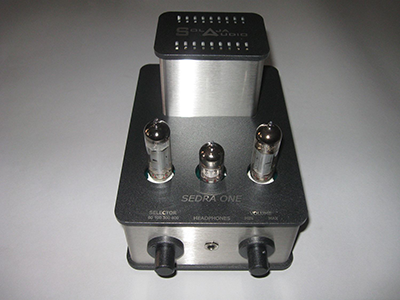 This is a redesigned and mechanically enhanced device packing after a successful sound testing by 6moons. With a belief that simple circuits are the best sounding, only one, class A, single ended amplification stage was chosen, with the shortest signal path possible. 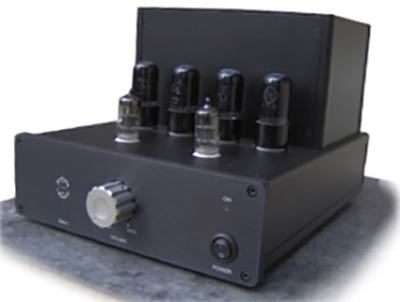 As an amplification device, 6N1P double triode was chosen after years of experience and listening tests of custom made preamplifiers. Also, because of listening tests, for grid bias, a 1.2 V nickel-cadmium accumulator was used from cathode to ground. 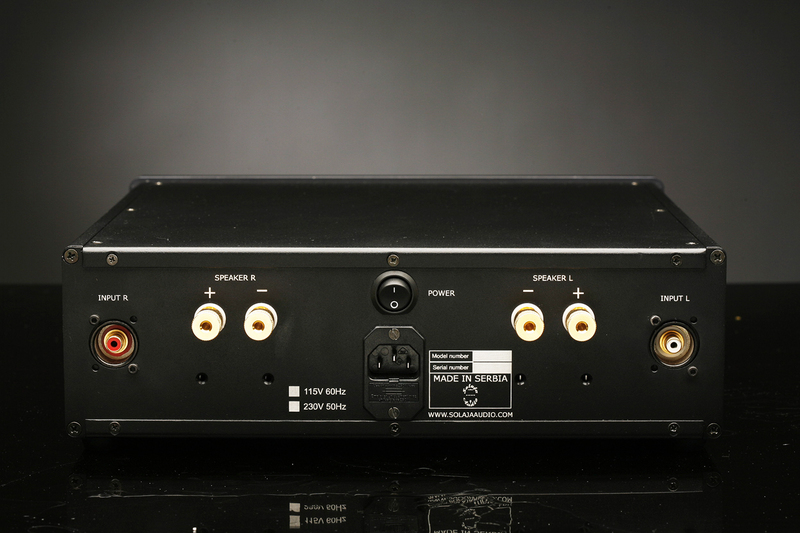 With it, the sound is much more transparent, frequency response is better and amplification is maximized. 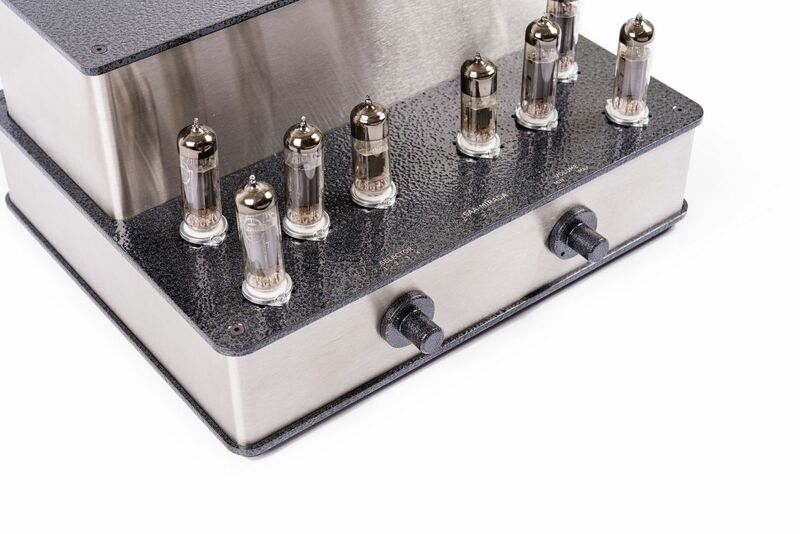 Signal path capacitors are MUNDORF MCap Zn. 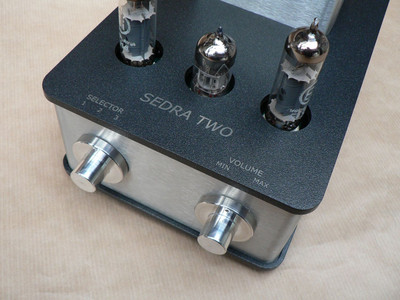 Volume potentiometer is renowned ALPS (blue). 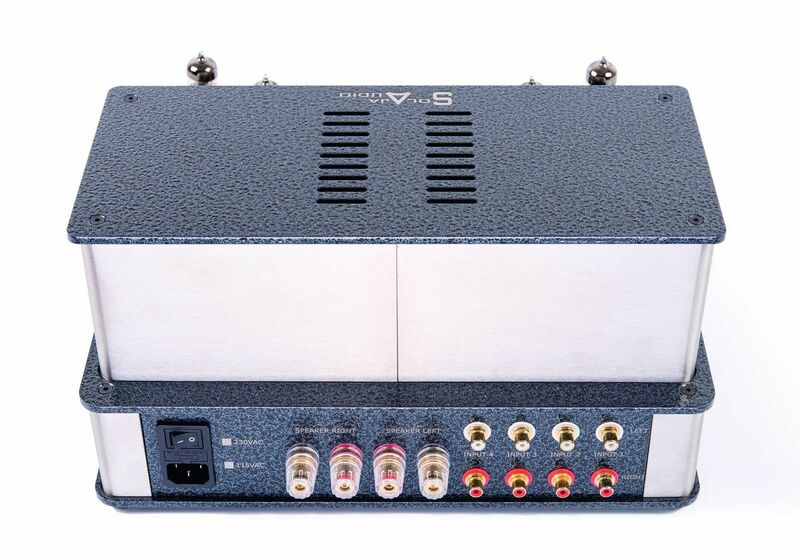 To obtain the shortest signal path possible and avoid the influence of internal wiring, printed circuit board is soldered directly to the input and output RCA connectors and all the components are on the same, two layers printed circuit board. 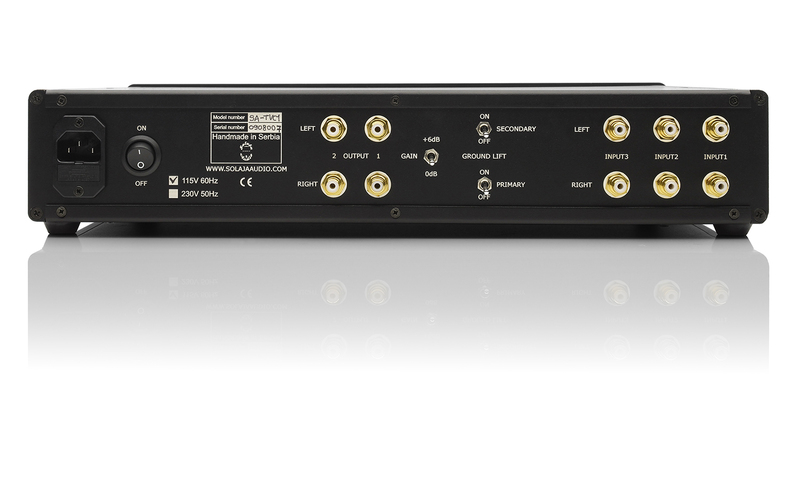 Signal output is from anode. Anode supply is non-regulated +250V (C-L-C-R-C), and for 6N1P cathode heater supply is shunt regulated 6.3V. 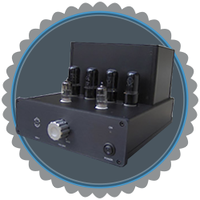 Anode supply filtration uses high quality high frequency (105*C) electrolytic capacitors and non-inductive metal oxide resistors. 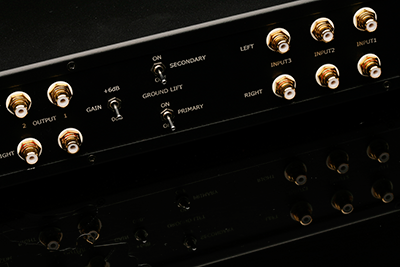 With a belief that simple circuits are the best sounding, only one, Class A, single ended amplification stage was chosen. As amplification device, 6N30 double triode was chosen after years of experience and listening tests of custom made preamplifiers. 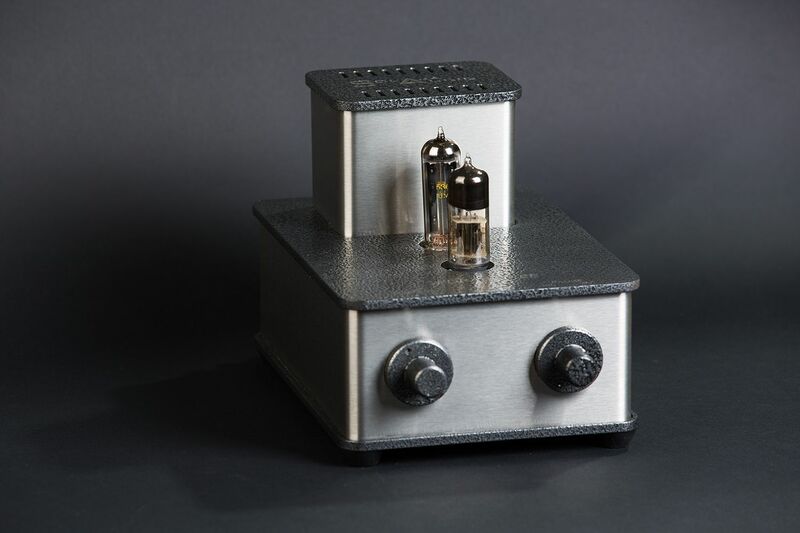 Also, because of listening tests, for grid bias, a 1.2V nickel-cadmium accumulator was used from cathode to ground. With it, the sound is much more transparent, frequency response is better and amplification is maximized. 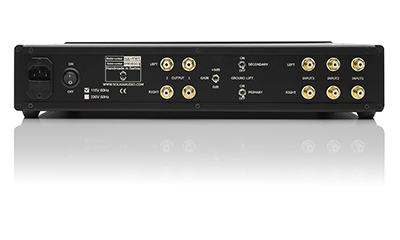 Signal output is from anode. 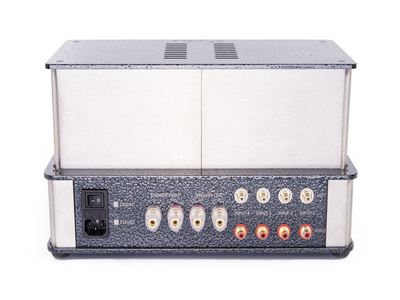 Anode supply is vacuum tube rectified (5Y3), choke input and double vacuum tube regulated (6S19P, EF86, 6P14P), and for 6N30 heater supply is regulated. 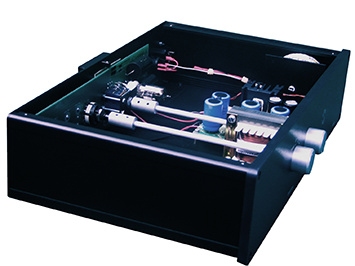 Anode supply filtration uses high quality polypropylenes (TubeCap and MCap) made by Mundorf. 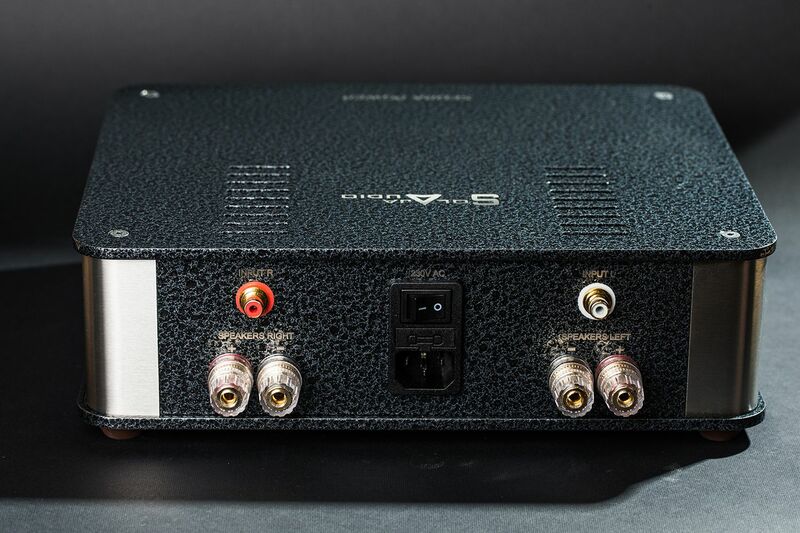 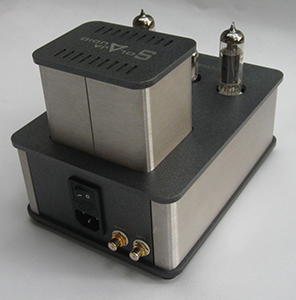 SA-TVC1 is a passive preamp with remote control. 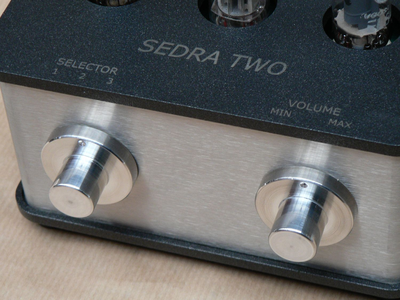 Volume is controlled via a transformer with 24 outputs on its secondary side. 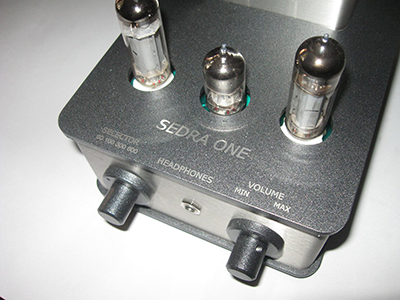 The primary side has four inputs. 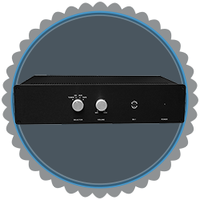 Depending on how the inputs on the primary side are connected, the device can be used as a unity gain device, or with an amplification factor of 6dB (amplification factor of 2x). 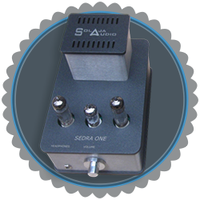 Selection is via a toggle switch, located at the back side of the device. 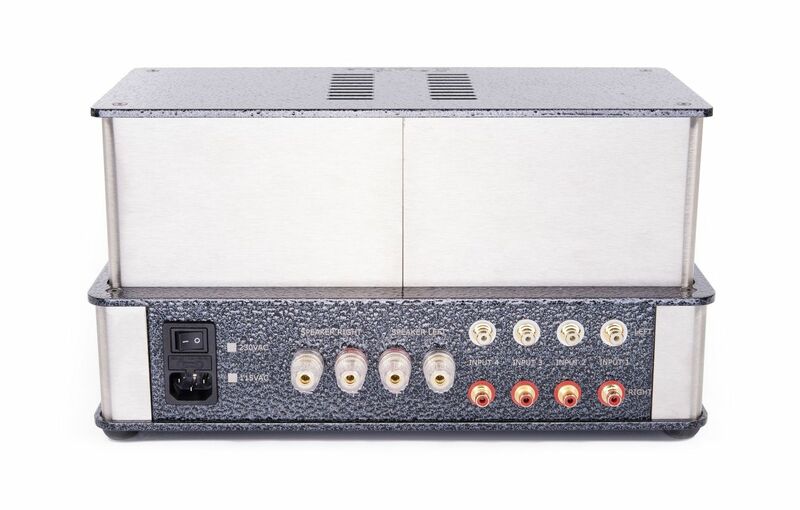 The 24 volume level positions are selected using 24 high quality Takamisawa relays. 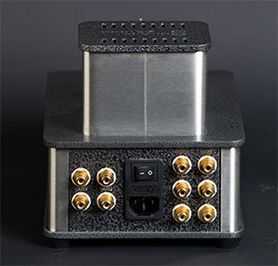 Three signal sources are also selected using Takamisawa relays.The transformers used are built around amorphous C-cores, using high quality copper wiring. 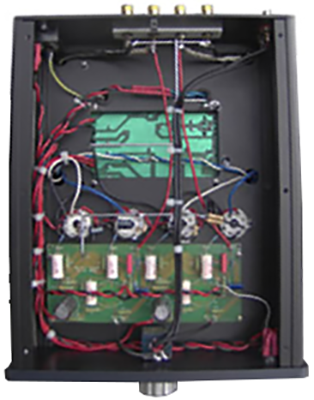 The transformers are encapsulated using natural materials. The perspex ring has 24 LEDs behind it, showing the current status of volume, with only one LED shining at any one time. 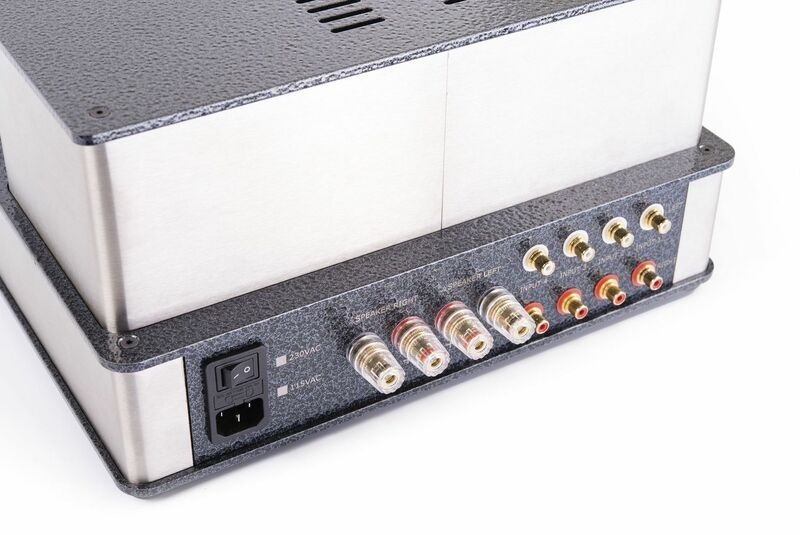 Three RCA Cinch line inputs; Two parallel RCA Cinch outputs; Separate grounds for the primaries and secondary’s; Gain of 1x or 2x user selectable; Relay switching on inputs and volume control steps; Takamisawa high quality relays used throughout; Remote control. 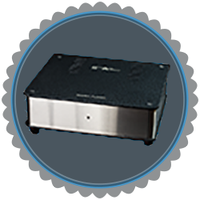 Frequency response: 12 ... 70,000 Hz –3 dB Noise: -107 dBA or better Dynamic range: 101.8 dB or better T.H.D. 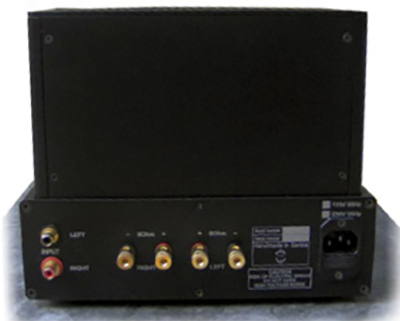 : 0.0011% or less IMD + noise: 0.231% or less Crosstalk: 84.4 dB or better. The SA-180D is a power amplifier, offering 180 Watts per channel and operating in Class D. It is based on highest quality Hypex amplifier modules, backed by very high quality super regulators for the positive and negative voltages required by the input stage. 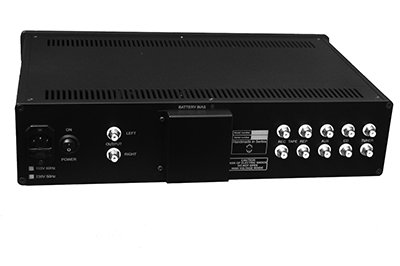 The power stages are fed power via 300W SMPS from Cold Amp, which has been modified and precisely adjusted to the requirements of Hypex. 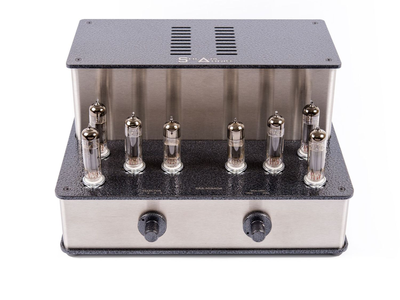 Beside the existing filter capacitor banks, two additional Slit Foil 10,000 µF capacitors have been added to each channel.All of which makes the SA-180D very dynamic and highly precise, with excellent bass control and a treble range way above the norm. 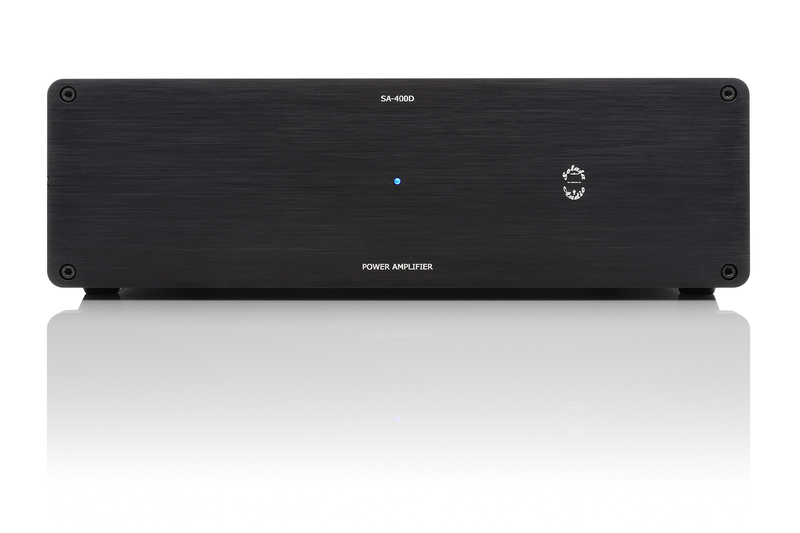 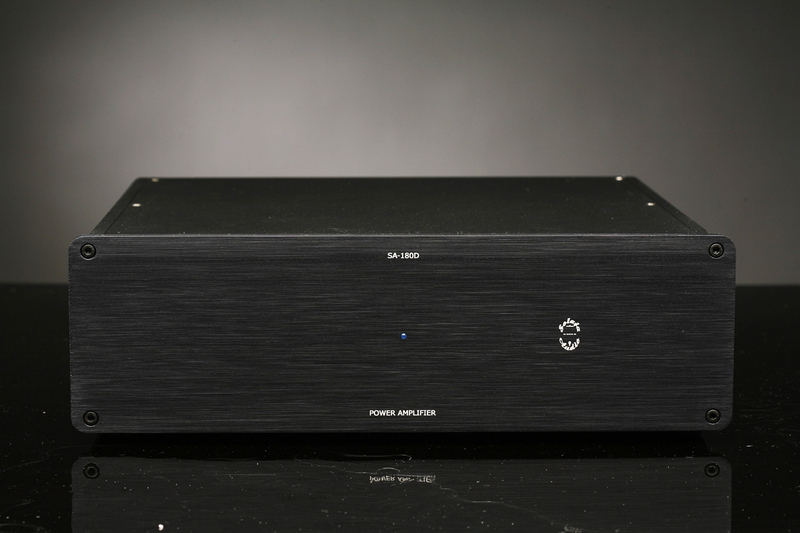 The SA-400D is a power amplifier, offering 400 Watts per channel and operating in Class D. It is based on highest quality Hypex amplifier modules, backed by very high quality super regulators for the positive and negative voltages required by the input stage. 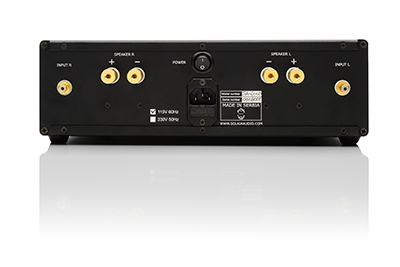 The power stages are fed power via 800W SMPS from Cold Amp, which has been modified and precisely adjusted to the requirements of Hypex. Beside the existing filter capacitor banks, two additional Slit Foil 10,000 µF capacitors have been added to each channel.All of which makes the SA-400D very dynamic and highly precise, with excellent bass control and a treble range way above the norm.